Do you love to COLLECT books? I have a few good friends who have beautiful libraries in their homes, and their books are truly a part of the decor and add to the feel. However, after at least a dozen moves in my life, I sometimes like to think of my possessions as needing to be worthy enough to want to move them AGAIN, should we have to do so. And frankly, books don’t make the cut. I have ONE beautiful enclosed bookcase with books that are either family treasures, resources, or books that I will read again. But all those bestsellers or book club books? Off they go to a friend or back to the used bookstore so our library can make some money! I have a collection of these, but not as many as I used to. I find so many recipes online nowadays. And there are so many at the library that I enjoy borrowing them there as well. ones you can actually use to decorate your house! 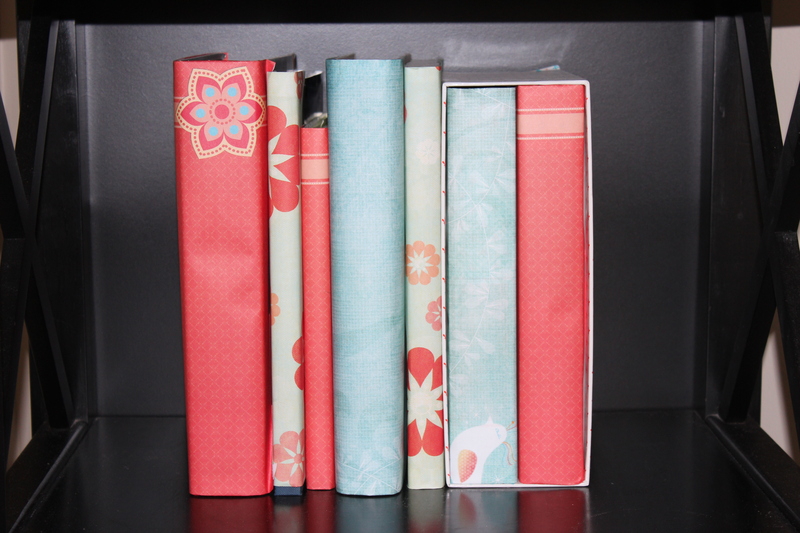 Using scrapbook paper, I have covered some of my books in colors matching my living room. That way, they really look nice on the shelf. I also use them in the bedroom to prop things up. I hope this post gets you thinking about your own books… ones that you need to pass on to someone else, or just donate, or use to make your home more beautiful! Do you collect books? What do you do with your books? I’d love to hear! This entry was posted in Bedroom, Color, Decorating, Home Organizing, Living Room and tagged books, cookbooks, paper, scrapbook by organizedohana. Bookmark the permalink. 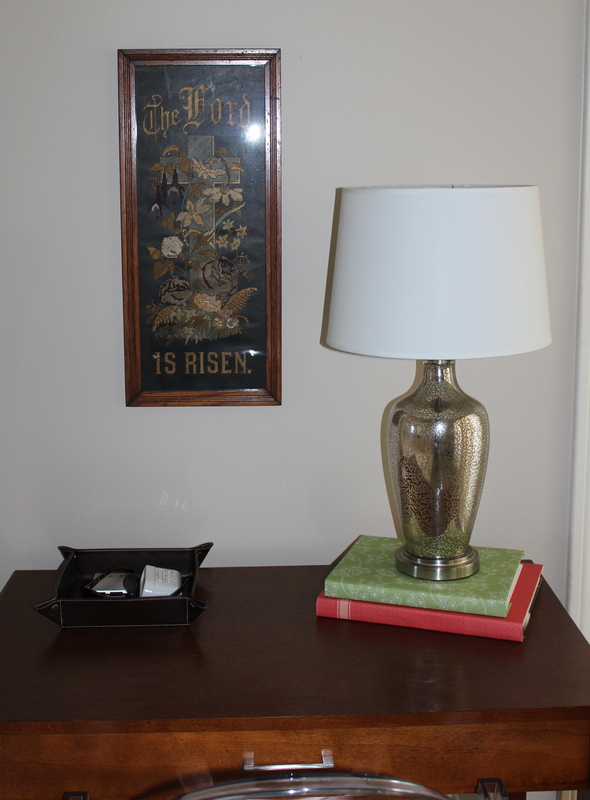 I like the idea of covering the books with decorative paper (or possibly fabric) that goes with the room’s decor. I used to think that having a collection (books or other things) was fun. But, over the years I’ve learned it is freeing to just have a few possessions you really want. Space in a home is also beautiful.